The all-new 2017 GMC Acadia mid-size SUV is designed to make a lasting impression. 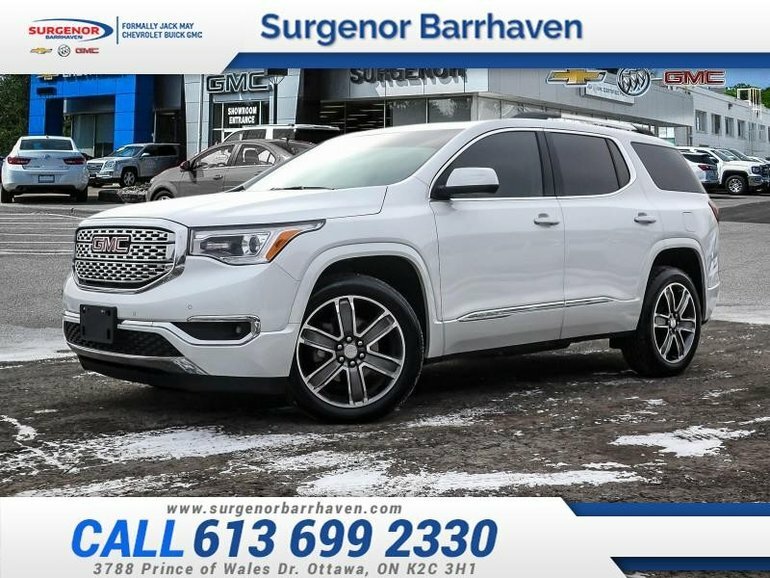 This 2017 GMC Acadia is for sale today in Ottawa. The all-new 2017 Acadia SUV personifies GMC's Professional Grade attitude and dedication to precision. The Acadia's flexible, versatile space and functionality are seamlessly blended with style, safety, and impressive technology. The Acadia makes a strong impression with its confident stance and bold styling from front to back, and its details, big or small, make it a truly distinctive crossover vehicle. 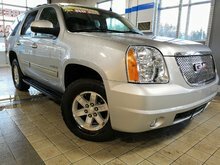 This SUV has 60128 kms and is a Certified Pre-Owned vehicle. It's white in colour. It has an automatic transmission and is powered by a 3.6L V6 24V GDI DOHC engine. 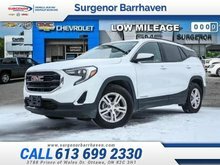 This vehicle has been upgraded with the following features: Leather Seats, Cooled Seats, Blind Spot Detection, Power Liftgate, Rear View Camera, Rear Park Assist, Heated Steering Wheel. It has a certified used vehicle warranty for added peace of mind. Our Acadia's trim level is Denali. The Acadia Denali combines premium materials, signature styling and advanced technologies to make it the premier choice among crossovers. Its many luxurious features include power heated and cooled front seats, heated rear seats, satin chrome exterior accents, unique 20 machined aluminum wheels, side blind zone alert, rear cross traffic alert, head-up display, forward collision alert and lane departure warning. Additionally, you'll get Apple CarPlay and Android Auto, rear vision camera, a power liftgate, heated steering wheel, and a remote vehicle starter plus much more. 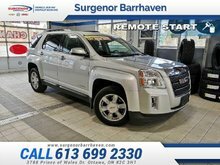 Buy this vehicle now for the lowest bi-weekly payment of $260.66 with $0 down for 84 months @ 6.99% APR O.A.C. ( Plus applicable taxes - Plus applicable fees ). See dealer for details. 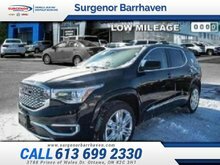 Interested in the 2017 GMC Acadia Denali - Certified - Leather Seats - $260.66 B/W ?